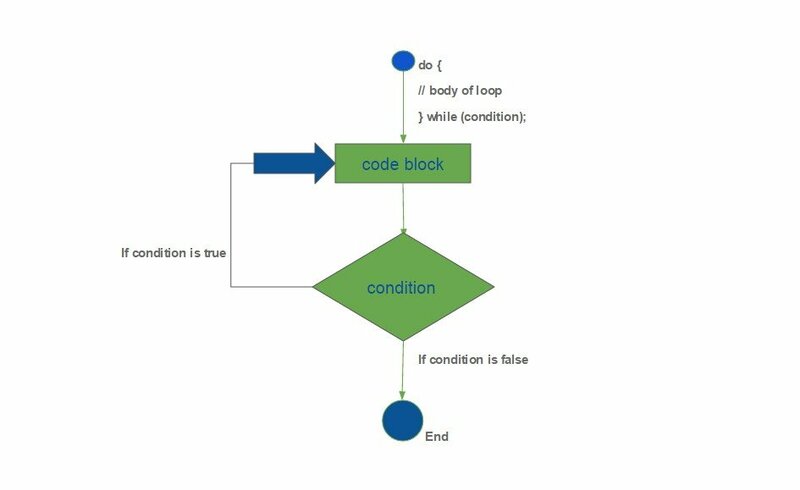 do-while loop is similar to while loop statement but do-while loop executes all the statements in the block, at least once and then checks the condition at the end. If the condition is true then all the statements are re-executed. This checking of the condition and execution of the statements/blocks continues until the condition is false. Here the condition is a boolean expression, which should return either true or false. We should always terminate do-while statement with semicolon(;). This is unlike for and while where we need not put semicolon at the end. Each iteration of the do-while loop first executes the body of the loop and then evaluates the condition. Here the x is initialized to 1. Now the control enters the do block and prints the x value as The x value is: 1 then, it increments the x value by 1. So x becomes 2. Then it checks for the condition 2 <= 3 which is true, so it prints The x value is: 2 and repeats the same. Next it prints The x value is: 3, then x value will become 4 so the condition 4 <= 3 will become false causing the loop to terminate. Remove the semicolon at LINE A. It should give a compilation Error. Print the numbers which are divisible by 3 between 3 to 30. Print the numbers which are divisible by 2 between 40 to 60. The difference between do-while loop in Java and while-loop is that do-while loop in Java evaluates its expression at the bottom of the loop instead of the top. Therefore, the statements within the do block are executed at least once.